Storemore Duramax Bicycle Store: The Duramax Bicycle Store by Storemore is a practical and durable place to store up to 4 bikes. The Duramax Metal Store comes complete with adjustable bicycle tracks so that you can have your bike stood up. The Storemore Bike Store is easy to assembly and comes with all holes pre-cut so that there is no additional preparation required. 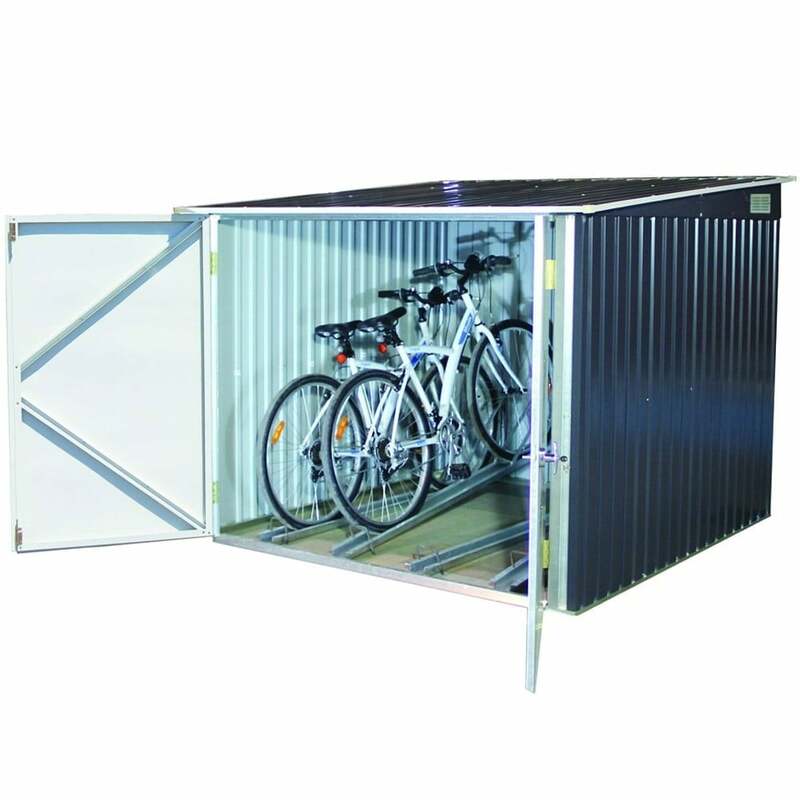 The metal storage unit will provide you with a safe place to store your bikes that is weather proof and includes a 3 point lock for added security for peace of mind. The panels on this store are 20% thicker than other conventional metal sheds for added protection and includes an 8 year manufacturer’s warranty. Please note that this store is best situated on a flat and level base as it does not come with a floor.